Sandwiches are beautiful but if you’re making lunch for a larger group, the price of bread for all those sandwiches isn’t so fine! Every week as I steel myself for meal-planning and grocery list-making, I sigh anew at the loss of Thrifty Foods. Without any particular loyalty to any grocery store, I now base my shop around whatever whole foods are currently marked down as loss leaders. I scour the flyers and – if I am feeling energetic – I double check the price book app on my phone to see if the “deal” is really any good. With six mouths to feed in this house, groceries add up, so the time is worth it to me. This week, I thought I’d share my plan in case it helps any of you who are trying to figure out your shopping lists this weekend too. I prefer to shop close to home, and I don’t like to go to more than one big box grocery store. I price-checked the advertised specials at Safeway, Buy-Low and Save On over the weekend (May 29-31), and this time, it looks like Safeway gets my Big Shop dollars. This week, there are some great prices for tomatoes (99 cents/lb) and strawberries ($2/lb) at Safeway. Armstrong cheddar is also a pretty good price at Buy Low and Save On ($7.99 for 700g), and Save On also has nectarines for 69 cents per pound, cucumbers for 99 cents and a pound of butter for $3.49. But the best local value seems to be chicken, because you can save a lot of money on meat by stocking up and freezing it for future meals. Whole chickens are selling for $2.29 per pound at Safeway this weekend, and bulk packs of chicken thighs are almost as cheap at $2.99/lb. Compare that price to the cost for chicken breasts: $7.99/lb! And you can’t even make stock if you buy only the breasts! To get the cheap price, you have to buy a bag of three birds, but I have a Chicken System to maximize the number of meals each chicken will provide for our family. You can squeeze a lot of meals out of a few chickens, and even more if your family is on the smaller side. I plan to bring home the limit of six chickens in my grocery cart this weekend, aiming for three meals (each feeding six people) per chicken. I’ll probably freeze four chickens for later, and prepare two birds at once to save time & energy. Chickens #1 & 2 I will roast side by side in my turkey roasting pan, along with potatoes or beets on the bottom rack of the oven. The skins shall be drizzled in oil, salted & peppered. The cavity will be filled with lemon slices and fresh herbs (probably rosemary, maybe sage or parsley). About half to 3/4 of a whole chicken feeds three adults and three children at our dinners with the addition of salad, potatoes or rice, and some steamed carrots or other kid-approved vegetables. The remainder of chicken #1 will be dedicated to soup: meat stripped from the bones and saved for soup, bones then simmered on the stove or in a slow cooker overnight with the ends of carrots, celery, onions and parsley stems that I have been saving in my freezer. I find it very satisfying to make stock using bits of vegetables that would otherwise have been thrown away. The stock is cooled, skimmed and stored in various sized jars: several 1-cup mason jars of homey comfort put by for future sick days or to be used in rice, sauces or stir-fries, and at least one large container ready to turn into a later meal of chicken noodle soup with homemade biscuits (a cheap and filling favourite meal around here). As for that second roasted chicken, I will strip the meat from the bones and use it to make a chicken pot pie and, later, a pasta dish with a little chicken tossed in. The carcass will go in my freezer until I need more soup stock. Even with all that chicken, I am tempted to also go for the chicken thigh deal. While a whole roasted chicken is a regular favourite around my house, chicken thighs are convenient and easier to make different kinds of meals. If I go for the thighs, I will have to separate the big package into meal-sized portions, to be frozen along with a marinade or packaged together in a crockpot kit with seasoning and vegetables so I can just dump it in the crockpot on a day when I don’t have time to cook. I may also cube some of the meat for kebabs or to add to soups, stews or sauces. It is a lot of work to prep large packages of meat in this way, but it is a big time and money-saver later on. Chicken thighs are also better than breasts for long-cooking dishes like crockpot curry, and although I know how to cut up a chicken into parts, I don’t like doing it. Did you spot any local grocery deals this week that I missed? 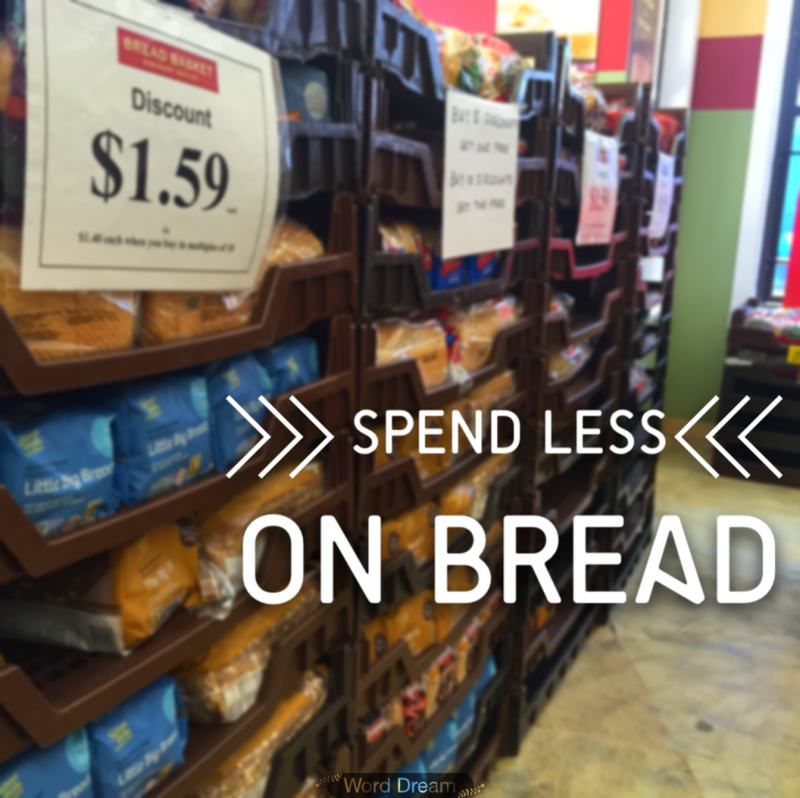 What are your strategies for saving money on food without resorting to Kraft Dinner and canned beans?